Code Blue Carpet Cleaning offers a full range of services to keep your home clean and beautiful. Code Blue Carpet Cleaning offers IICRC Certified carpet cleaning services to the Denver Metro area. 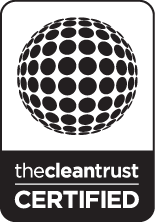 We are the true steam cleaners in the Denver area using environmentally safe cleaning solutions. We are committed to providing a clean and safe environment for your family! Code Blue Carpet Cleaning is the industry leader in pet stain removal and remediation. Our certified training, top notch equipment and specialized solutions can resolve most pet related issues. From spot cleaning to whole house remediation we have the tools to tackle the most stubborn pet related carpet problems! Are foul pet odors making your living environment uncomfortable? Code Blue Carpet cleaning specializes in pet odor remediation. Our training and experience give us the knowledge to overcome most pet odor problems. Our specialized equipment and products give us the ability to handle most contaminated areas. Rejuvenate your soiled tile and grout effectively and safely with Code Blue’s proven tile cleaning system! High heat and high pressure cleaning assure even the dirtiest tile and grout can be rejuvenated back to near new appearances. No mess and environmentally friendly! Having sealed tile and grout is as important as clean tile and grout. Code Blue offers tile sealing services using environmentally safe sealers. No obnoxious fumes ad harsh solvents. Protect you investment and keep it looking cleaner for longer periods of time by sealing all of your tile and grout! Keep your offices or retail locations looking professional! 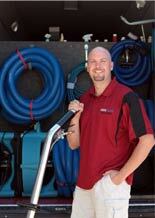 Code Blue Carpet Cleaning understands the challenges associated with cleaning commercial carpet. Our experience and equipment assure we will keep your commercial carpet looking its best!